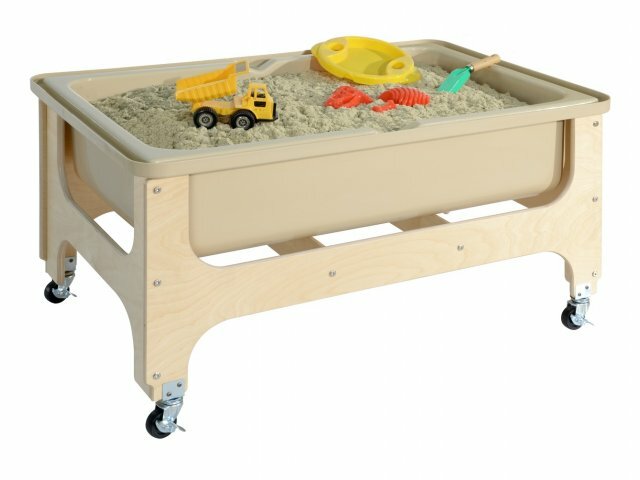 A toddler sand and water table will help your youngest students enjoy hands-on learning as they develop critical life skills. Get your students elbow-deep in education with Deluxe Sand and Water Tables. If you are looking for a way to enhance fine-motor skill development in your classroom, they will make an excellent addition. These sensory tables are designed to minimize mess and maximize convenience. Easy drainage and a no-spill gutter wall keep materials contained at all times. When it comes to furnishing an early-childhood classroom, safety and stability are always top priorities. 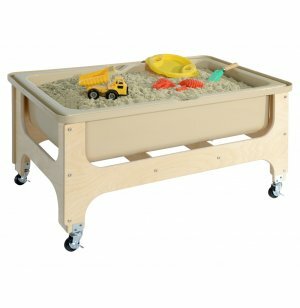 Wood Designs sand and water tables are made from birch plywood with an exclusive Tuff-Gloss UV finish. 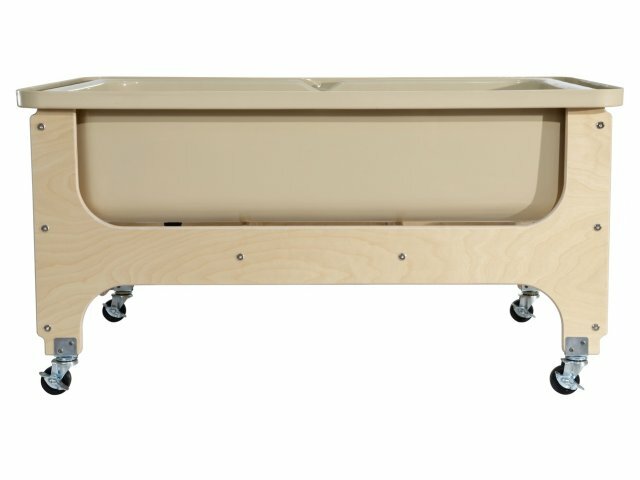 Locking casters on all four legs promote stability and mobility. With rounded corners and edges, you can provide a safe play environment where students are free to explore. Clear View: Sturdy transparent plastic tub lets little ones enjoy an unobstructed view of contents. Clean Classroom: Easy drainage and a no spill gutter wall around the edge of the tub minimize mess. Durable Material: Built with 100% birch plywood. No-Peel Paint: Greenguard Tuff-Gloss™ water-based paint finish provides lasting beauty. Sturdy Construction: Assembled using mortise, glue and steel pin connections. Secure Design: All corners and edges are fully rounded and sanded for safety. Smooth Rolling: Locking casters on all four legs offer maximum mobility. Great Options: Available in youth or tot size, with or without lid.